What was most surprising about Kate Bernot’s piece about restaurants that serve shrimp with tail still attached was that, as some commenters revealed, that there are people who actually eat the tail. I consider myself fairly exposed to the eating traditions of different cultures, and—perhaps this is my ignorance now—I’ve never heard of anyone who eats the shrimp tail. 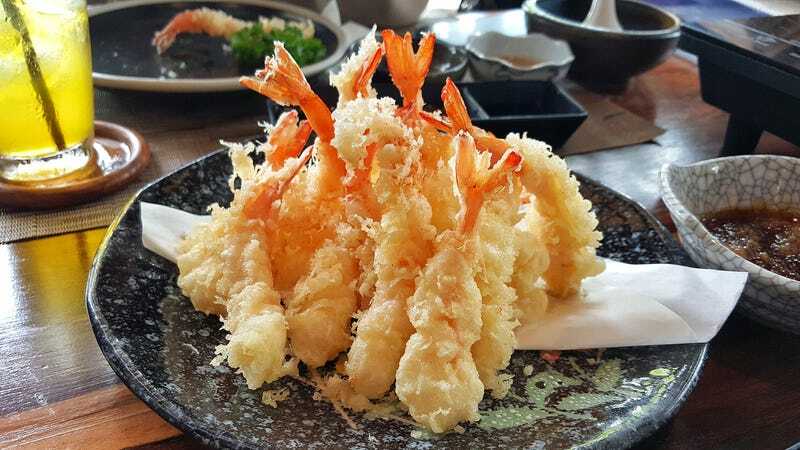 That being said, I have eaten whole fried prawns, head and brain goo and all, at sushi restaurants. But eating shrimp tail on the regular? I’m terribly confused. Further digging revealed a Seattle food radio show host who also enjoys eating deep-fried shrimp tail. Then there’s Reddit—I know, I know—where a number of people claim eating shrimp tail is part of their cultural norm. Am I doing this wrong? When I order shrimp tempura, am I missing out by leaving the shrimp tail discarded? Shrimp tail-eaters: Can you elaborate on its pleasures?